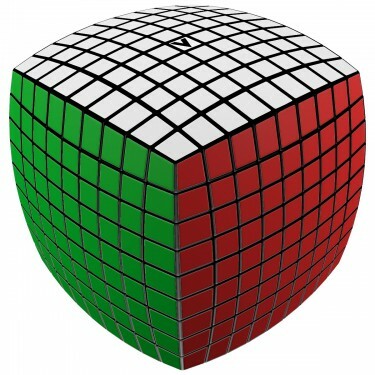 This distinguished cube holds the record being the the largest and most complex rotational puzzle game in the world! 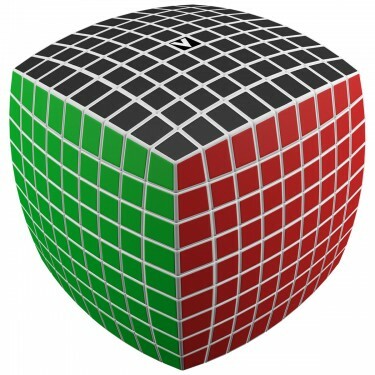 V-CUBE™ 9 has 1.42*10^275 possible permutations and weighs 560g! It consists of 386 small pieces-cubies and the solid-cross for supporting their independent rotation on based axes.